Turn your restaurant, caf�, coffee shop or eatery into a place of excitement with the brilliant lights of miscellaneous food and drinks neon signs. Watch your customers walking in by dozens with the notice of amazing neon signs. From lunch to dinner, we have hundreds of miscellaneous food and drinks neon signs that can be a perfect fit for your establishment. 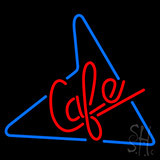 We have great collection of neon signs like Shawarma Kitchen Logo Neon Sign, 50s Style Caf� Neon Sign, Man With Chopper Logo Neon Sign, Take Home Food Neon Sign and lots more. 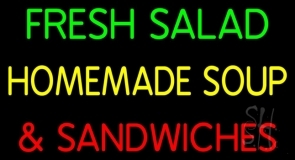 Whether you serve subs, BBQ, sandwiches, sushi, salad, soup, wings or pasta, we have neon signs for all these categories. Check out our other distinct categories like By the Slice Neon Signs, Butcher Deli Neon Sign, Kosher Neon Sign, Vegetarian Neon Sign, Catering Neon Sign, Food to Go Neon Sign and many more of them. 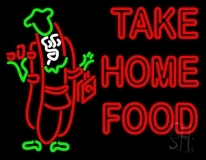 We have neon signs for any and every establishment that you want to advertise. We can feature neon signs with your logo and name that will best fit all your requirements. Select a neon sign from our collection or get it customized by our highly talented professionals. Get your establishment to dazzle in the brightness of neon and enthusiasm of your customers with miscellaneous food and drinks neon signs. Click here to know more about ordering a neon sign!